Trending Servers has over 10 years’ of experience in managed hosting. It is possible to get a webhosting package at the costs of € 1,00 a month. This consists optimized servers for your WordPress, Joomla site or webshop. DirectAdmin control panel including automatic backups. Choose from of more than 100 known website installations, which you can install with one click. They also provide SSL certificates for a safe website environment. Since 2002 Domeinbalie.nl is specialized in the profession management of domain names. That’s important, because a trademark, especially online, is one of the most valuable possessions of every organization. The internet is changing rapidly and the domain industry is changing with it. Lately, many new extensions launched as .online, .education and .amsterdam. Well known extensions like .nl and .com remain popular. Providers of domain registration compete with each other to offer the lowest price, sometimes even below the cost price. This happens at the expense of service. At Domeinbalie they have always chosen the perfect balance between sharp prices and good service, with special attention to organizations which understand the importance of good organized domain registration. That is what distinguish them. 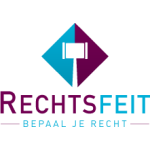 Rechtsfeit offers a platform where consumers and the (little) business market can ask questions about the law. Via a simple menu you are able to get the answer to your question within a few clicks. You will get an insight in rights and obligations and you can see in big lines your position in a legal relationship. We are living in times of Change, Disruption, iDeas, Collaboration, Innovation. Some will impact us directly or indirectly YET as Arthur travels the globe he can see that people, businesses, communities, governmental departments are uniting together with Hope to build and or support the new, the next best thing. In our oceans and seas is floating more and more plastic waste and due to weathering, sunlight and waves this plastic falls into little pieces. This leads to serious pollution. The oceans covers 72% of the earth and are our main oxygen suppliers. Our water changes in a worldwide soup of microplastics, because plastic can’t be biologically digest. Animals see this plastic as food and so the plastic comes into our food chain. This can damage our health. Plastic Soup Foundation (PSF) wants to stop the increasing pollution of the ocean and wants to prevent that in the future more plastic ends up in the see. The current system of production and consumption of plastics is not at all durable. PSF wants new systems based on alternative raw materials and innovative processes and materials. CC Proof gladly supports these sorts of important initiatives! Cooking studio Keizer Culinair, is the biggest cooking studio of the Netherlands! They offer various cooking workshops and courses at locations all over the Netherlands. Clients of Keizer Culinair are as wel companies as individuals and (little) groups. They stand for real food with as much as possible pure biological products. Even though Keizer Culinair is the biggest of the area, it still is approachable and domestic. People should really have to feel at ease at Keizer Culinair. For example enjoy their beautiful wine (and food) tasting, organize a big company event, have a festive dinner or join one of their unsurpassed cooking workshop with some acquaintances. The mission of Sport & Media as a fan of the association life in the Netherlands is to strengthen the commercial position of associations. A wide arrange of sport activities already helped a lot of sport associations to improve the financial side and to professionalize the ambiance. Thinking ánd doing is what makes the difference, shows Sport & Media. Good plans and even better performance. Efficient, result-oriented and practical. With mentality of a top sporter. They got the tools, knowledge and energy to realize making associations more professional. GATHER is the place where everything comes together. An inspiring shop and promising stage for renewing lifestyle brands and curious consumers. Where you can find the latest fashion, but also the newest novel of Dimitri Verhulst. GATHER is the fuel for innovation. In everything what they do. They seduce you by changing what they offer, their equipment and their routing. They organize special events and workshops. GATHER. A refreshing contemporary retail concept where TOGETHER is the standard. An adventure which you undertake together. Everyday again. Meeting, inspiring, sharing and connecting. GATHER, build a new story, share a new store. Dikhoff Van Dongen Lawyers is a niche office focused on the media and entertainment branche. The lawyers work for parties in the creative sector, especially music, film, tv, theatre and online media. In a world where they operate for decades, as a lawyer or not. The lawyers know the branches they serve from the inside. With lawyers as Van Dongen, Bos and Dikhoff the office has 20 years experience in giving strategic and juridical advise, litigating and contracting. They have extensive knowledge of the intellectual property, privacy, ICT law and business law. Peggy de Jonge and Joe Jay de Haas are the ‘Yes-minded’ experts at The Yes Men. They focus on the legal aspects of creativity. Therefore The Yes Men is the perfect CC Proof-partner. 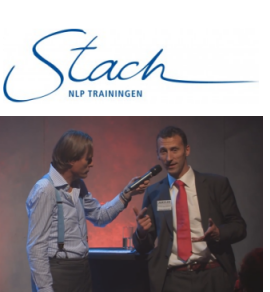 Peter van Bergen, trainer and coach at NLP, was together with Alphons Geerlings LL.M. jurylid at the Present Your Startup event. event. Given the successful pitches, Peter has done his job well. Blanchard it is set up by Frans Blanchard LL.M., an authority in the world of advertising. He has a lot of experience on business and legal area in the creative communication and media world. The creative industry is growing significantly, but is also under pressure as a result of the economic crisis and new technological possibilities. Copying has become easier. That is why it is important to protect your work on time at CC Proof. Buro Blanchard dispose of a wide network of specialists with relevant knowledge and experience, so that high quality support and advise can be offered anytime. Ashton Cloak, based in Utrecht, delivers high-quality, contemporary legal advice. They work transparent and they strive, like CC Proof, to sustainability. Ashton Cloak is specialized in the field of Intellectual Property, Health Law, Employment- and Consumer Law, but they also focus on special groups like: independent professionals in the care- and creative sector. For starters they have discounted rates. Thus they try to meet starters. Ashton Cloak is a company which has many commonalities with CC Proof. Astrid Berens and Maarten Bodt started a fair for professional contemporary jewelry artists thirteen years ago in a sports hall in Enschede, the Netherlands. 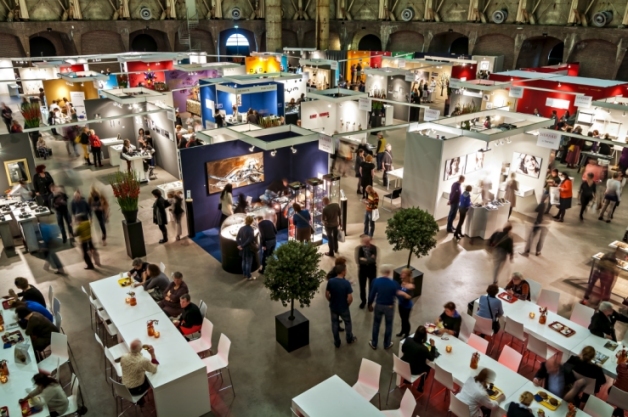 Now the Sieraad Art Fair will take place in „de Westergasfabriek” in Amsterdam from 6 to 9 november 2014, organized by EMB&B Art Events. There will be 165 artists from 28 countries who will present their work in their own way, from simple to very professional presentations. CC Proof is a big fan of cultural hot spots like this event and recommend the artists to protect their work in our database before they present their work to the audience. Especially since SIERAAD and CC Proof are partners; you can see the wax seal on their website as a sign of our partnership. De Beer Intellectual Property Attorneys specialize in the protection and enforcement of intellectual property rights. They can assist you in determining the viability of obtaining patent protection for your idea including an assessment regarding the patentability criteria of novelty and inventive step. They can also advise you on the best route to securing intellectual property rights for your idea including an assessment of the relative benefits of obtaining patent protection for your idea vs obtaining copyright protection. Once a determination has been made regarding the above they can assist with the preparation and filing of patent application(s) for your idea and/or the securing of copyright. In so far as your software development may include Open Source software, they can also assist with the legal implications in that regard. In addition, they have an extensive network of foreign agents who are able to assist them in the preparation and filing of patent applications in Africa. They can also assist with all your trademark requirements. 8-9-2014 |CC Proof cooperates with StartFlex B.V.
StartFlex B.V. is a one-stop-shop for (inter)national corporate services. We have set up a quality network of independend notary, fiscal and law offices. Originally for our Dutch clients. For all our services we have fixed and low prices. So our clients know exactly what they will get at what price. Because of the increasing demand for straightforward and affordable international corporate services we also introduced a fast-track for the incorporation of a company in the Netherlands. We made special arrangements with one of our independent notaries and fiscal offices to assure the best service level and personal support. We choose to incorporate De Merkplaats in our netwerk for their professional intellectual property services. 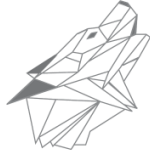 L & DJ PR is a PR agency for innovative ICT, software, telecom and technology companies who value sustainability. L & DJ PR helps organizations to position themselves in the todays market with a unique proposition. The agency was founded in 1987 and built up the expertise in the field of PR and content marketing in the IT and technology sector. In addition, the agency has a strong focus on innovation and sustainability. The extensive media network in the Benelux is used to generate appropriate publicity for his clients. Present Your Startup aka Haarlemvalley is inspired by the TV-shows Dragons’ Den and Shark Tank, but a new version of it. The initiator of Presentyourstartup.nl is Valerie Vallenduuk, attorney-partner at Vallenduuk Attorneys who was wondering: in addition to a financial investment, what do you need as a beginning entrepreneur? A solid structuring and advice on the corporate form; therefore a notary. Good terms and conditions, framework agreements and legal advice; therefore a lawyer. Accounts and financial statements. Additionally remaining tax advice; an accountant and tax advisor. A network of computers that always work; therefore a system administrator. Online marketing advice, there is a real chance you have to promote your ideas online too. It’s ALL contracts! especially for foreign companies with the intention of doing business in the Netherlands. It’s ALL contracts! for clear and concise international contracts, whenever parties of different nationalities want to enter into a workable and full agreement. Eveline Kubbenga has a Dutch, German and Spanish educational background, therefore she has a deep understanding of different European and Latin American mentalities. With broad experience as (international) contract lawyer she knows where boundaries are and the legal issues to take care of. 9 picturesque shopping alleyways in the Amsterdam canal belt. In the hart of Unesco’s World Heritage, just behind Dam Square and on the way from Anne Frank to Rijksmuseum. De 9 Straatjes is the ideal neighbourhood to get to know Amsterdam in all its variety and richness. The area offers a great overview of the architectural style of Amsterdam heritage. After 400 years it is still very lively with artisanal businesses, hidden cafes, hotspot restaurants and galleries, and a unique offer of specialized and authentic shops shops dealing in antiques, fashion, housewares and one-offs. It’s areas like this that really make you feel comfortable in Amsterdam, so they say! Senel & Co. is a family owned trading company from Amsterdam, the Netherlands. Their partners are dairy producers and processors, institutions, importers and distributors all over the world. Since its incorporation, Senel & Co. has developed into a trading partner in food & beverages and currently operates on 4 continents. They have build partnerships with specialized and certified dairy factories. This means that their customers can rely on products that meet legal and customer-specific requirements, next to quality and hygiene, as well as processing and packing formats. The constantly changing global market demand that companies make the right purchasing and sales decisions. This requires a solid partner, providing reliable solutions; Senel & Co. meets your needs, with up to date market information and down to earth advice. Taxgate is a professional organization specializing in tax and legal structuring, business formation and advisory from Amsterdam, the Netherlands. They service a diverse range of clients consisting of (privately owned) medium-sized and small businesses, but also individuals. The firm was incorporated in 2013 by C. Cicek MSc LLM, after having worked for Deloitte, RSM NL and Ernst & Young for about 9 years. Their office is run by people with an excellent university training, who pay close attention to permanent education and follow changes in laws and regulations. This means that their services are subject to high quality standards and that they provide at least the quality of the big international (“Big 4″) firms, yet against significant lower fees. They are committed to know their clients well, so that they can always add maximal value and show entrepreneurship, creativity and commitment. Their office is in the centre of Amsterdam in the famous Keizersgracht on nr. 209, in a monumental building from 1619 called “The Hope”. The Trademark Lawyer Magazine is based in London. The Trademark Lawyer educates and informs professionals working in the industry by disseminating and expanding knowledge globally. It features articles written by people at the top of their fields of expertise, which contain not just the facts but analysis and opinion. Important judgments are examined in case studies and topical issues are reviewed in longer feature articles. All of this and the top news stories are brought to your desk via the printed magazine or the website. CC Proof is now also working in India (1,2 billion inhabitants! ), because Chadha & Chadha IP and CC Proof work together. Chadha & Chadha IP is an Intellectual Property Firm based in New Delhi with offices in Gurgaon, Mumbai, Pune and Cochin. The practice traces its history to 1967 and has evolved for over four decades into becoming one of India’s most prominent IP Firms. Chadha & Chadha IP is a Patent & Trademark Agency. The Firm stands for highest quality of work in all aspects of Intellectual Property. Therefore CC Proof is proud to cooperate with Chadha & Chadha IP. The 1nspiring Company helps you to build your business and brand. Inspiration and innovation. The company creates infographics, presentations, video and animation and supports the companies in business development.